Darlaston station enjoyed a very short shelf-life, opening under the LNWR in 1863 and closing just 24 years later in 1887. 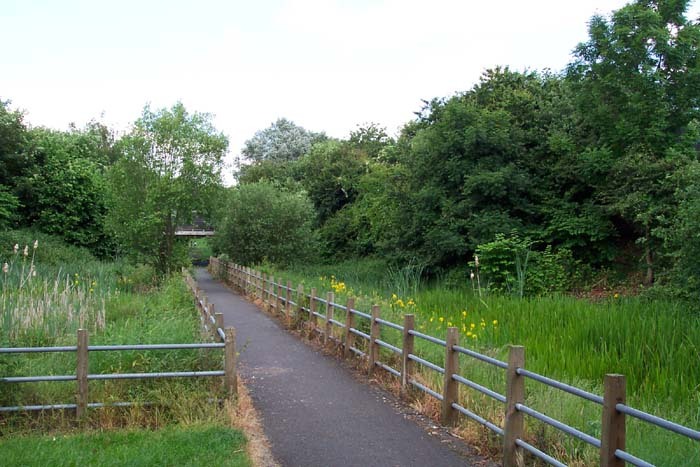 The line on which it stood was originally proposed by the South Staffordshire Railway, sanctioned in 1855 and commonly known as the Darlaston Loop that provided a sweeping loop south from James Bridge station on the ex-GJR to connect with the LNWR's Wednesbury to Walsall line. Originally single-track, the line was doubled in 1872 to accommodate increasing goods traffic. However, the passenger work of the line suffered from under-patronage with the decision finally being made to close and, shortly afterwards, demolish Darlaston station. The name, however, lived on at the LNWR James Bridge station which changed its name to Darlaston, following many years of name changes to various combinations of the two names, in 1913. Unfortunately, nothing now remains of the station and the trackbed at this point is now a walkway. 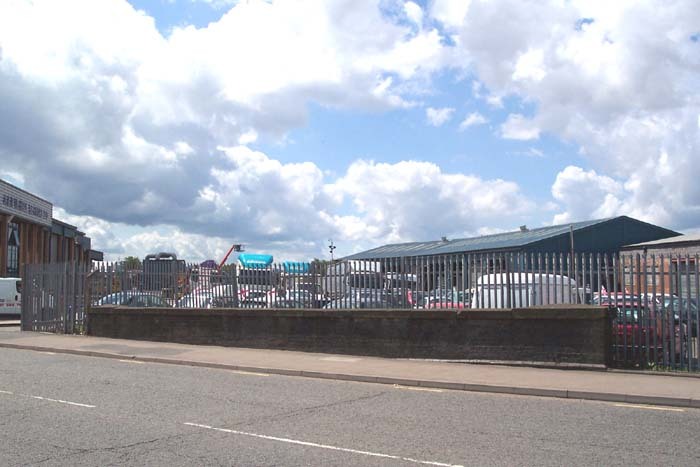 Above we are looking to the site of the station on Darlaston Road: the trackbed running under the road in the direction in which we are looking with the station immediately beyond the bridge. 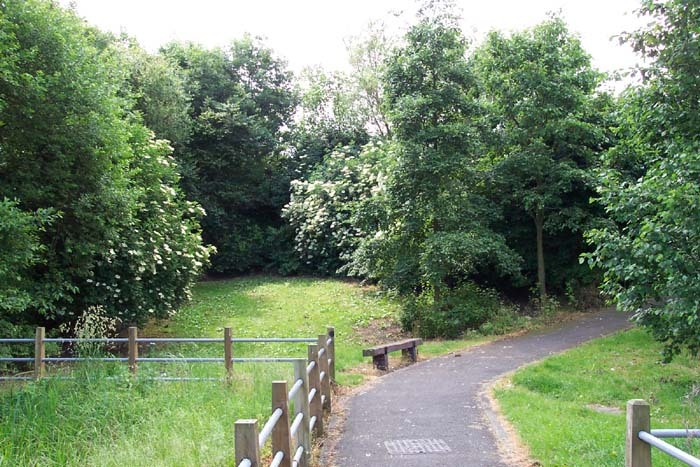 Above-left we have crossed Darlaston Road and descended the pathway leading to the trackbed and are standing on the site of the Walsall platform. 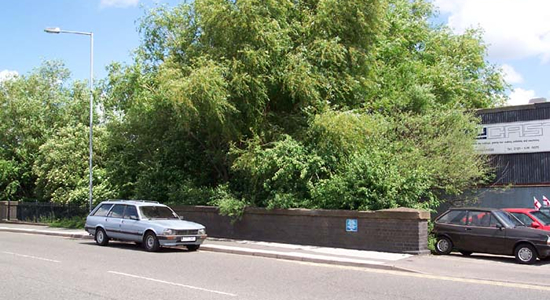 Above-right we are in the same spot but looking to the filled-in bridge tunnel under Darlaston Road where once the station building itself stood. Above we are back on Darlaston Road with the station to our rear looking at what was once the bridge parapet and beyond it the direction once taken but the cutting carrying the line in an arc to the right and off to the GJR line at James Bridge. I was pleasantly surprised to see some evidence of the railway at this point although at the same time disappointed, although it was to be expected, that nothing remained of the station itself.